Mrs. Withrow used a tool to make the construction paper cats resemble corrugated board. This tool can be purchased at craft stores and gives an interesting texture to the bulletin board. 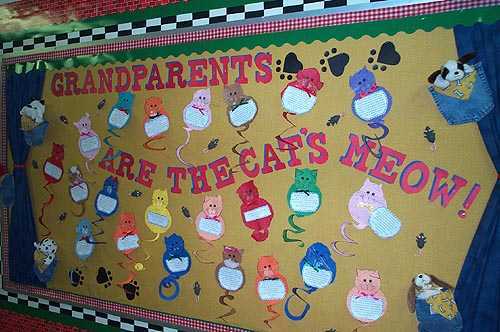 She wrote the children's thoughts about their grandparents and glued the paper on the cats.